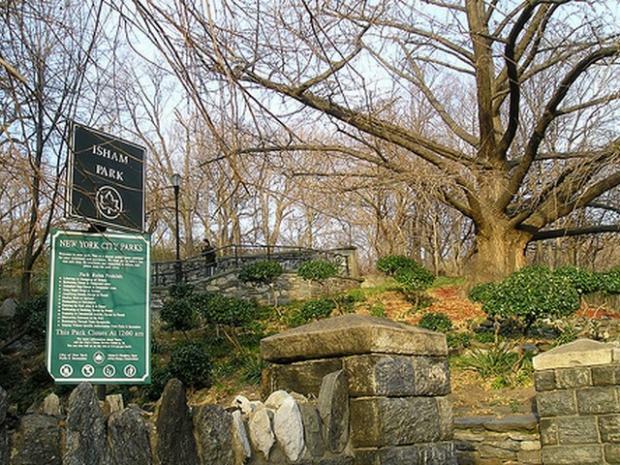 INWOOD — Manhattan's northernmost neighborhood is receiving some long overdue accolades for its architectural diversity and unique landscape design. Chosen as one of two Manhattan neighborhoods that warrant preservation, Inwood was named part of the Historic Districts Council’s first annual "Six to Celebrate," an effort that will be made through a coalition of community groups to preserve neighborhood treasures throughout the five boroughs. "Neighborhoods throughout New York are fighting an unseen struggle to determine their own futures," said Simeon Bankoff, HDC’s executive director. "By bringing these locally-driven neighborhood preservation efforts into the spotlight, HDC hopes to focus New Yorker’s attention on the very real threats that historic communities throughout the city are facing from indiscriminate and inappropriate development." The six neighborhoods — which also include the Bowery and Morris Park in Manhattan; Bedford Stuyvesant and Gowanus in Brooklyn; and Jackson Heights in Queens — were selected from applications submitted by community organizations and were based on the "architectural and historic merit of the area, the level of threat to the neighborhood, strength and willingness of the local advocates, and potential for HDC’s preservation support to be meaningful," according to the group. "We're very excited about it," Gail Addiss, a founding member of Volunteers for Isham Park, a local Inwood preservation group, which will work with HDC in the coming year to identify neighborhood landmarks to propose to the for landmarking, which will likely include historic sites surrounding the Park Terrace area of Inwood, including Isham Park and the Seaman-Drake arch. The Landmarks Commission will then have a final say in which sites receive the distinction. Addiss and fellow Isham Park group member Pat Courtney plan to kick off the new year by presenting a proposal for the centennial celebration of one of Inwood’s more historical sites, Isham Park, which was donated by Julia Isham in 1912 in remembrance of her father William B. Isham, a wealthy leather merchant whose mansion once sat on the site. The draft proposal will be presented during the Community Board 12 Parks and Recreation committee meeting on Tuesday, Jan, 4, at 7 p.m, at 711 W. 168th Street.